Bangladesh and India signed three bilateral memoranda of understanding to strengthen transport between the two countries using inland waterways. The pacts include an agreement for the use of Mongla and Chattogram (formerly Chittagong) ports in Bangladesh for transporting goods to and from India and the operation of cruise vessels on the protocol routes. Bangladesh and Sri Lanka have finalized a coastal shipping agreement that would cut transshipment costs and reduce travel time between Chittagong, Bangladesh, and Colombo, Sri Lanka. A seminar on inland waterways emphasized on the potential impact of connectivity between India and Nepal. As a cost-effective, safe, and environment-friendly transport option, it could shape the future of trade, tourism, and navigation between India and Nepal, according to Mr. Barsha Man Pun, Minister of Energy, Water Resources, and Irrigation, Government of Nepal. Access to India's Haldia port may also open the market to Nepal’s less marketed commodities, noted Mr. Pun. Bangladesh Prime Minister Sheikh Hasina and India Prime Minister Narendra Modi, in a video conference, jointly inaugurated the 130-kilometer India-Bangladesh Friendship Pipeline Project, and the third and fourth dual-gauge rail lines in the Dhaka-Tongi section and dual-gauge rail line in the Tongi-Joydebpur section of Bangladesh Railway. The pipeline will support pumping of oil from India to Bangladesh, helping fulfill the country’s energy needs at less costly rates. The Bangladesh Cabinet approved the proposal to allow India access to its Chittagong and Mongla ports to transport cargo to its northeastern region. This will reduce transit time and help traders save costs. International rules and the General Agreement on Tariff and Trade will be applied, as well as applicable laws and rules on freight in Bangladesh. Goods bound for India's northeastern region will be carried onboard Bangladeshi vehicles that will be equipped with tracking systems. Trade between Bangladesh and India is estimated to cross a landmark $9 billion. Between July 2017-June 2018, growth of Bangladesh's garment exports to India jumped by 113%, amounting to $276 million. Exports of other products also increased by 30%, bringing in an additional $201 million. In total, Bangladesh's exports to India is set to close at almost $900 million. A Sri Lanka-Bangladesh Chamber of Commerce and Industry business delegation held a meeting with the Bangladesh Investment Development Authority to discuss bilateral trade and investment expansion between Bangladesh and Sri Lanka. Sri Lankan businessmen expressed desire to take advantage of Bangladesh's business-friendly environment. According to Mr. Aminul, Sri Lankan entrepreneurs are interested to invest in LPG wholesaling, the financial sector, information technology, and port logistics. The Governments of Bangladesh and India are considering development of "border haats" (border markets) in six new locations to further boost Bangladesh-India trade. A joint committee meeting highlighted the positive impact of border haats to the livelihoods of people in border communities. The meeting emphasized the need to draft an MoU and provide a timeline for setting up new border haats in the northeastern region of India. Plans are being drafted to turn Silchar, a city in Assam, India, into a logistics hub. Multimodal transport linkages from Silchar to Myanmar and to Bangladesh are being considered, in line with the Government of India's "Act East" policy. These will decongest Guwahati and place Silchar at the forefront of growing economic relations between India's northeastern states and Bangladesh and the countries in Southeast Asia. The BIMSTEC Working Group on Customs Cooperation held its first meeting on 10-11 May 2018 in New Dehi, India. The Meeting discussed progress in customs cooperation among BIMSTEC countries, and finalized the draft text of the 'Agreement on Cooperation and Mutual Assistance in Customs Matters' for the BIMSTEC Free Trade Area. The Ministry of External Affairs of the Government of India is reviewing feasibility studies for potential railway linkages between India and Bhutan. The studies conducted by the Northeast Frontier Railway include five possible routes. Bangladesh, India, and Nepal conducted a trial bus service run on 24-25 April 2018. Two buses left Dhaka, Bangladesh, for Kathmandu, Nepal, carrying delegates from the three countries and the ADB. The Bangladesh-Bhutan-India-Nepal Motor Vehicles Agreement enables the bus service. India led a test run of the first container freight train from Kolkata, India, to Dhaka, Bangladesh on 3-4 April 2018. The rail service will be the first container train service between the two countries. It will reduce cost and transport time, thereby improving trade between India and Bangladesh. Selected commercial and personal vehicles, including a passenger bus service, will join a trial run from Dhaka, Bangladesh to Kathmandu, Nepal on 23-26 April 2018. The route will pass through the Banglabandha (Bangladesh)-Phulbari (India) border and through Panitanki (India)-Kakarbhitta (Nepal) border. Senior officials of the governments of Bangladesh, India, and Nepal have agreed to operate more cargo and passenger buses along key routes in the region to enhance connectivity. The Ministry of Commerce and Industry of Sri Lanka emphasized the need for the country to build stronger maritime and air links with Bangladesh to increase bilateral trade and investments. Improving linkages between Sri Lanka's Hambantota/Colombo ports and Bangladesh's Chittagong port will encourage more shipping, tourism, and investments, according to the Ministry. The Ministry of Shipping of the Government of India will propose to add the Pangaon river terminal into the India-Bangladesh protocol for inland water trade at the upcoming secretary-level talks between the two countries. Located 20 kilometers away from Dhaka, Bangladesh, the Pangaon container terminal can provide a cost-effective means to transport goods between Kolkata and Dhaka. The Government of Bangladesh plans to convert around 67 kilometers of meter-gauge rail line into dual gauge to establish railway connectivity with Bhutan, India, and Nepal. This move could help boost trade among the three countries. This video showcases how innovations for trade facilitation have enabled businesses in the BBIN subregion to tap into regional value chains and flourish globally. More developments in facilitating trade and enhancing connectivity are planned and underway to help boost trade, enhance regional integration, and promote economic opportunities. Bangladesh and India held a Commerce Secretary-level meeting on 7-8 February 2018 in Dhaka, Bangladesh. The discussions focused on issues concerning bilateral trade and economic relations, including infrastructure upgrading at border trading points; expansion of border haats (markets); identification and resolution of non-tariff issues affecting bilateral trade; regional connectivity under the Bangladesh-Bhutan-India-Nepal Motor Vehicle Agreement; and ease of investment. Bhutan Prime Minister Tshering Tobgay and Bangladesh Industries Minister Amir Hossain Amu discussed trade, connectivity, and investment on the sidelines of "Advantage Assam." Prime Minister Tobgay remarked on the increasing demand for Bangladeshi-made medicines in Bhutan and expressed its intention to import more. Exporters from Nepal shipped over 35 truckloads of ginger to Bangladesh between mid-December 2017 to January 2018. This volume of ginger traded by Nepal to Bangladesh is the largest it has exported to a third country in over a decade. The Treaty of Transit between India and Nepal facilitates movement of Nepal's third country trade with and through Bangladesh, via India. 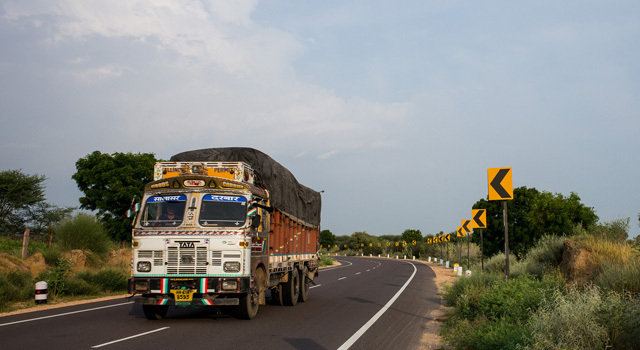 India's Ministry of Road Transport and Highways (MoRTH) will prioritize plans to construct 2,000 kilometers of roads linking India's major highway corridors to international trade points in South Asia. MoRTH Minister Nitin Gadkari highlights that this plan, worth Rs 25,000 crore, will facilitate export/import trade with Bangladesh, Bhutan, Myanmar, and Nepal. The Ministry also took steps to operationalize the BBIN MVA. India's Ministry of Shipping reported planned dredging works in the Zakiganj-Ashuganj section of the Kushiyara river and in the Sirajganj-Daikhowa section of the Jamuna river to help develop year-round navigation. Dredging will be executed by the two countries, subsequent to the decision taken in the meeting of the Shipping Secretaries in December 2016. The Asian Development Bank has submitted the Comprehensive Development Plan for the proposed Southwest Bangladesh Economic Corridor to the Government of Bangladesh. This strategic framework document will guide the efficient implementation of economic corridor projects, integrating industry, urban, infrastructure, and regulatory frameworks. Completion of infrastructure to connect inland waterways of India and Bangladesh could ease movement between the two countries, and make transport of freight to Nepal and Bhutan faster and less expensive. Opening inland waterways would make alternative modes of transport viable and could open up livelihood opportunities, helping facilitate trade in Bangladesh, Bhutan, India, and Nepal, according to experts attending a forum on subregional inland waterways. The Asian Development Bank has approved $1.2 billion financing support for the second phase upgrade of the Dhaka-Northwest international trade corridor, the second busiest artery in Bangladesh. Upgrading this corridor will improve access to the Burimari Land Port, which links Bangladesh to Bhutan through India, potentially increasing trade. The Government of India has taken steps to implement the Bangladesh-Bhutan-India-Nepal (BBIN) Motor Vehicles Agreement (MVA), coordinating with the Governments of Bangladesh and Nepal through the Ministry of External Affairs to enforce the transport agreement between and among themselves, reported Mr. Nitin Gadkari, Road Transport, Highways, and Shipping Minister, India. The Bangladesh-India Business Meeting emphasized the immense prospects for bilateral investment and growth between Bangladesh and India. Mr. Tofail Ahmed, Commerce Minister, Bangladesh, urged India to take steps to reduce the trade deficit through removal of non-tariff and para-tariff barriers, improvement in facilities, mutual recognition of certificates and standards, and better connectivity. This commentary by Ms. Ferdaus Ara, Chief Executive Officer, Business Initiative Leading Development, examines the effect of non-tariff barriers to trade on Bangladesh-India exports by discussing the restriction on imports of tomato from Bangladesh. While exporting tomato from Bangladesh would benefit Indian consumers, policies in India, including the Plant Quarantine Order on Regulations of Import 2003, need to be amended. Bangladesh plans to export 102.5 gigabit per second of bandwidth to its neighbors, Bhutan, Myanmar, Cambodia, and Vietnam. Negotiations are ongoing to enable 2.5 Gb per second of bandwidth export to Bhutan through India’s Power Grid Corporation of India Limited's fiber optic cable. This commentary on the interim report for the Southwest Bangladesh Economic Corridor by Mr. M. Rokonuzzaman Ph.D, Professor, Department of Electrical and Computer Engineering, North South University, Bangladesh, highlights the need for Bangladesh to boost its labor advantage with high-tech innovation to create high-paying jobs for millions of university graduates, ultimately driving the country toward its goal of achieving high-income status by 2041. Bangladesh and Sri Lanka are working to increase their trade volume and diversify their products to promote more mutually-beneficial trade. This commentary by Mr. Amila Muthukutti, Sri Lankan economist and business writer, discusses market opportunities in Bangladesh for Sri Lankan investors, and highlights how a Free Trade Agreement will pave the way for strong trade relations. Mr. Younus Dagha, Federal Secretary of Commerce, Pakistan, has urged the South Asian Association for Regional Cooperation (SAARC) member countries to focus on removing non-tariff barriers to strengthen trade in the region. The region holds immense trade and investment potential, being home to 21% of the world's population. Mr. Harsh Vardan Shringla, India's High Commissioner to Bangladesh, urged the business community to increase the volume of India-Bangladesh cross-border trade, noting how standards certification will boost trade for Bangladesh products. This commentary by Ms. Ferdaus Ara Begum, Chief Executive Officer, Business Initiative Leading Development, highlights the need to improve standards regulation to increase Bangladesh's competitiveness in the export-based manufacturing industry. Recommendations include raising capacity of the Bangladesh Standards and Testing Institute to meet global standards in food safety, and involving the private sector in standard setting consultations. Products for export need to conform to given standards and undergo certain procedures before they are allowed entry into the importing country. In this commentary, Ms. Ferdaus Ara Begum, Chief Executive Officer, Business Initiative Leading Development, explains what exporters from Bangladesh need to do to understand these standards so they can expand their reach in India and other markets. A forum in Kathmandu, Nepal explored actions that will allow landlocked countries to take advantage of being "land-linked". Mr. Bipul Chatterjee, Executive Director, CUTS International, underscored the importance of cooperation among the four countries to be able to move forward. The Nepal-Bangladesh Youth Conference 2017 was held in Kathmandu, Nepal, to discuss possible ways to increase bilateral trade between Nepal and Bangladesh. The environment and the economic and business sectors were among the topics tackled at the conference. 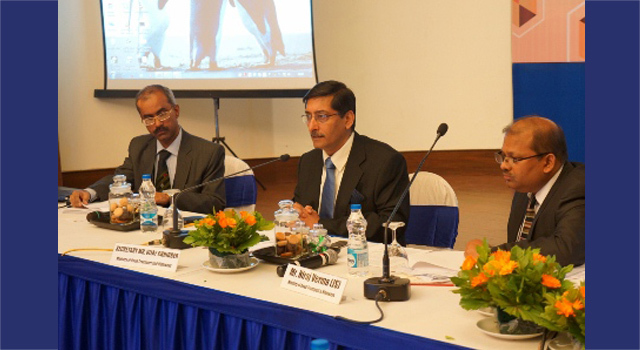 Mr. Harsh Vardan Shringla, India's High Commissioner to Bangladesh reiterated India's commitment to remove non-tariff barriers (NTBs) through the standard-setting bodies of India and Bangladesh. The Bureau of Indian Standards and the Bangladesh Standards and Testing Institution have begun cooperating on certification of goods, to resolve NTB-related export restrictions. Mr. Abdul Matlub Ahmad, former President of the Federation of Bangladesh Chambers of Commerce and Industry, expressed confidence in the business relationship between Bangladesh and India, saying it is better right now than any time in the past. He encouraged the trade and business community to utilize the friendship between the two countries to promote development. A delegation of the India-Bangladesh Chamber of Commerce and Industry (IBCCI) met with Mr. Shajahan Khan, Shipping Minister, Bangladesh, to discuss trade bottlenecks in Bangladesh-India land ports. Infrastructural and administrative bottlenecks in land and sea ports of Bangladesh and India slows down the trade process. Long delays for trucks to pass through Customs, for example, results in shortages of warehouses and trucks, and skyrocketing prices in truck rentals. India’s Act East Policy will help improve connectivity among countries in Southeast and East Asia, said Mr. Arun Jaitley, Finance Minister, India. He noted projects to connect trade routes to India’s neighbors and explained how regional power trade would help SASEC member countries achieve energy security. The Commerce Secretaries of the Government of Bhutan and the Government of Bangladesh met on 23-24 March 2017 in Thimphu, Bhutan, to discuss the promotion of trade and commerce. The Secretaries agreed to negotiate an inland water transit protocol, and initiate a memorandum of understanding for mutual recognition of standards and classifications. Low exports and rising imports are causing exponential growth in Nepal's trade deficit, according to Nepal’s Minister of Commerce, and he urged ministries, agencies, and the private sector to collaborate to bridge Nepal's widening export gap. The Ministry of Commerce has prioritized initiatives to promote Nepal's productive capacity. Three common standards—Biscuits Specification, Refined Sugar Specification, and Code of Hygienic Practice for Dairy Industry—for the SAARC region were approved at the South Asian Regional Standards Organization's (SARSO) Fifth Governing Body Meeting. These common standards will help reduce SAARC intra-regional trade costs. According to SARSO Director General, Dr. Syed Humayun Kabir, member countries' national standardization bodies will be in charge of their implementation. India's Ministry of Shipping will set up an international river port in Sonamura, connecting Gomati River in Tripura, in India's northeast, with Meghna river in Bangladesh. India’s Inland Waterways Authority approved the proposal to enable small ferries and boats to transport goods through river transit, according to Minister of State for Industries and Commerce. A railway network linking India and its neighboring countries, Bangladesh, Bhutan, Myanmar, and Nepal, is being considered by the Government of India, according to India Railway Minister Suresh Prabhu. Developing railway connectivity will increase employment, interaction, trade, and tourism. The interactive session “Harnessing Regional Cooperation in South Asia” held at the Annual Meeting of the World Economic Forum discussed how regional economic cooperation is helping accelerate growth and development. Bangladesh Prime Minister Sheikh Hasina emphasized continuous initiatives, in economic cooperation in South Asia, including SAFTA and SASEC. India Minister of State for Commerce and Industry Nirmala Sitharaman lauded initiatives to boost connectivity. Bangladesh, China, India, Laos, South Korea, and Sri Lanka, member countries of the Asia-Pacific Trade Agreement (APTA), moved to expand trade and boost growth in the region by agreeing to increase the number of products under preferential tariff treatment to 10,677 items from 4,270 at the 4th session of the APTA Ministerial Council. India is set to undertake a number of projects in the city of Khulna, Bangladesh, including a planned Mongla Special Economic Zone (SEZ) for Indian companies. India is also offering to undertake joint projects with Bangladesh to modernize the Mongla sea port and to construct the Khan Jahan Ali Airport. Trade between India and Bangladesh has seen a substantial increase in the last few years. The new Bangladesh High Commissioner to Sri Lanka, Mr. Riaz Hamidullah called on Sri Lanka Finance Minister, Mr. Ravi Karunanayake to discuss a potential Bangladesh-Sri Lanka free trade agreement. The Meeting emphasized benefits to be gained by both countries from this type of agreement. Bangladesh Railway has set out a 20-year plan in a bid to increase the transport body’s market share. The plan includes 235 railway projects at a cost of $30 billion. The country currently has 2,877 kilometers of railroads and has made plans to add another 375 kilometers. ADB will be funding the 129-kilometer Dohazari-Gundum railway line at a cost of $1.5 billion. Such projects are expected to boost economic growth in Bangladesh. Government officials of Bangladesh and Nepal will conduct a joint survey on a potential road route under the Bangladesh-Bhutan-India-Nepal (BBIN) Motor Vehicle Agreement (MVA), starting from5 December 2016. It will check road conditions, length of travel, and necessary infrastructure to ensure seamless movement of vehicles. The Governments of India and Bangladesh have begun the process of acquiring land in Bangladesh to build the new India-Bangladesh railway project. The 15 kilometer (km) railway will connect Agartala (India) to Akhaura (Bangladesh), and reduce the 1,613-km mountainous distance between Agartala and Kolkata to 514 km. Bangladesh and Nepal officials have emphasized the need to both hasten and deepen integration among South Asian countries through the Bay of Bengal Initiative for Multi-Sectoral Technical and Economic Cooperation (BIMSTEC). Bangladesh Prime Minister Sheikh Hasina said the region must work to finalize BIMSTEC Free Trade Area Framework Agreement deals to boost trade in the region. Nepal Prime Minister Pushpa Kamal Dahal stated that BIMSTEC can be a dynamic engine for growth and development. In recent years, countries in South Asia have shown increasing commitment to deepening regional cooperation through bilateral agreements and regional initiatives, including the Bangladesh-Bhutan-India-Nepal Motor Vehicles Agreement. This commentary by Ms. Nahela Nowshin of the Centre for Policy Dialogue discusses the importance of regional initiatives in South Asia, as well as the need to promote dialogue on matters of regional cooperation and connectivity. The Asian Development Bank is helping countries in the SASEC subregion harmonize two technical non-tariff measures, Sanitary and Phytosanitary (SPS) Measures and Technical Barriers to Trade (TBT), to enhance intraregional trade. Under this initiative, a national diagnostic study on SPS and TBT will be conducted in the six SASEC member countries, to be led by core committees formed by the six governments, in consultation with trade experts. The Government of Bangladesh plans to form a hydropower generation company to import hydropower from countries including Bhutan and Nepal. The initiative will be set up under Bangladesh's Power Division, Ministry of Power, Energy, and Mineral Resources. A seminar organized by CUTS International has recommended promotion of regional value chains in agriculture between India and Bangladesh. A recent CUTS International study revealed huge opportunities for trade in agricultural produce: for example, in Tripura, India, produce sourced from Indian states can be easily imported from nearby areas of Bangladesh at a much faster time and for less cost. The Government of Bangladesh will establish a National Single Window to simplify cross-border trade procedures and improve Bangladesh's ease of doing business. The System will facilitate import, export, and transit transactions using an electronic portal that links all relevant agencies for cross-border trade. Customs-free borders for Bangladesh, Bhutan, India, and Nepal will save time and money for importers and exporters and thereby increase the ease of doing business, according to an executive of the Federation of Indian Exporters Organisation (FIEO). Because goods no longer have to be unloaded at the border, trucks can easily cross borders, reducing time and logistics costs for both buyer and seller. Bangladesh is set to sign a free trade agreement and a coastal shipping deal with Sri Lanka to boost trade and investments between the two countries. A Joint Study Group will be formed to accelerate development of the coastal shipping agreement, for which standard operating procedures are being drafted. A new chapter in trade relations and people-to-people contact between Bangladesh, Bhutan, India, and Nepal (BBIN) began on 5 September 2016, as a Bangladeshi cargo truck rolled into the Customs Inland Container Depot, Patparganj, Delhi. Though the vehicle entered India through Petrapole Land Customs Station, Customs clearance was done at the ICD, Patparganj, as part of a trial run of the BBIN Motor Vehicles Agreement. The Southern Gujarat Chamber of Commerce and Industry (SGCCI) undertook a 6-day visit to Bangladesh, and met with the Dhaka Chamber of Commerce and Industry (DCCI) and the Chittagong Chamber of Commerce and Industry (CCCI), to look into economic opportunities India and Bangladesh could tap. SGCCI signed memorandums of understanding (MoUs) with DCCI and CCCI, to explore new areas of cooperation and boost bilateral trade relations. The Bangladesh-Bhutan-India-Nepal (BBIN) Motor Vehicles Agreement (MVA) is set to boost infrastructure development in the BBIN subregion. Bangladesh will see significant increase in cargo movement, enabling India to access its Northeast region, and helping facilitate third-country trade of landlocked Bhutan and Nepal. However, major investments in infrastructure are needed to maximize Bangladesh’s potential to become a transport and transshipment hub. Bangladesh is pushing for the development of railway corridors with India to facilitate trade and investment among BBIN (Bangladesh, Bhutan, India, Nepal) countries. To help boost regional trade, Bangladesh Railway is looking to revive five routes to India, and build railway links to connect with Bhutan and Nepal. The Ministry of Shipping, Government of Bangladesh, has ordered upgrading of the Banglabandha Land Port to cater to rising trade with Nepal. This includes improving and building new loading and unloading sheds, and other needed infrastructure, such as warehouses, vehicle parking, and the road leading to the port. Development of infrastructure at Sheola, Thegamukh, and Bhomra land ports under the Bangladesh, Bhutan, India, Nepal (BBIN) initiative for regional connectivity will increase economic activity, according to a feasibility study report jointly undertaken by India and the People’s Republic of China. The report was presented at a National Public Consultation Workshop in Bangladesh on 11 August 2016. Commentary: Is Regional Product Standard at All Feasible? Absence of a harmonized system of standards among South Asian Association for Regional Cooperation (SAARC) members is one reason for the increase of technical barriers to trade, giving rise to non-tariff barriers that hamper SAARC intra-regional trade. A commentary by Mr. Wasi Ahmed, a former senior trade diplomat, discusses the growing recognition of importance of harmonized regional standards within SAARC. India is upbeat on India-Bangladesh bilateral relations, particularly on connectivity and bilateral trade. Mr. Harsh Vardhan Shringla, High Commissioner of lndia to Bangladesh, emphasized at a Metropolitan Chamber of Commerce and Industry meeting, that Bangladesh is integral to India’s Act East Policy and noted the many efforts to link the two countries. Indian Railway Minister Suresh Prabhu and Bangladeshi Railway Minister Mazibul Hoque jointly laid the foundation stone for the 15 kilometer (km) Agartala (India)-Akhaura (Bangladesh) railway project. This rail link reduces the Agartala-Kolkata distance from 1,613 km to 514 km. Implementation of the Bangladesh, Bhutan, India and Nepal (BBIN) Motor Vehicle Agreement (MVA) may start in December, according to Bangladesh Road Transport and Bridges Minister Obaidul Quader, while speaking at a closing ceremony of a drivers' training on road safety. Bangladesh, India, and Pakistan, member countries of the South Asian Association for Regional Cooperation (SAARC), have stepped up their support for the proposed SAARC Industrial Parks by allocating lands for the planned initiative. Designated areas include Chittagong, Bangladesh; Gujarat, India; and Faisalabad City, Pakistan. Business leaders at the recent Bangladesh, Bhutan, India, Nepal (BBIN) Business Forum and Expo said they want to see an industrial zone in Panchagarh, Bangladesh, as this would be close to Biratnagar in Nepal, Phuntsholing in Bhutan, and Siliguri in India. Plans are underway to open up coastal shipping routes between Bangladesh and India to passenger and cruise vessels. According to Bangladesh Minister of State for Foreign Affairs Md Shahriar Alam, the two countries are in talks to sign a memorandum of understanding allowing Indian vessels through Bangladesh's waterways, to ease travel to India's northeast. The Rampura-Amulia-Demra public-private partnership (PPP) road project in Bangadesh will be developed into a four-lane 13.5-kilometer access road under a transaction advisory services agreement between the Asian Development Bank (ADB) and the Bangladesh Public–Private Partnership Authority. The project complements ADB’s existing support to the Bangladesh Roads and Highways Department for intercity road connectivity under the SASEC Program. Launch of the Bangladesh-India transshipment facility concluded with the successful delivery of steel rods from Kolkata, India to Agartala, the capital of Tripura, through Akhaura land port in Bangladesh, onboard Bangladeshi trucks. The facility will allow India to deliver goods to the northeast region in an estimated 10-day time, and help boost trade in the region by enabling Bangladesh to transport goods to Nepal and Bhutan via India, and give India access to Myanmar via Bangladesh. The Bangladesh-Bhutan-India-Nepal (BBIN) Motor Vehicles Agreement is a landmark framework agreement signed by the transport ministers of the BBIN countries last June 2015 in Thimphu, Bhutan. Mr. Ronald Butiong, Director, Regional Cooperation and Operations Coordination, South Asia Regional Department, Asian Development Bank (ADB), describes how it is paving the way for a more integrated and more prosperous South Asian region in an ADB blog entry. Indian entrepreneurs have invested INR 3,084.43 crore ($458.14 million) in Bangladesh, a move that has created 63,277 jobs, says Mr. Amir Hossain Amu, Ministry of Industries, Bangladesh. He also said Bangladesh is looking forward to being India’s partner in tech industries. The 15-kilometer broad gauge rail service from Agartala, India to Akhaura, Bangladesh is set to be inaugurated in June 2016. Funded by the Government of India, the railway project will reduce the 1,650-km distance between Agartala and Kolkata to 550 km and is foreseen to boost bilateral trade and business between the two neighboring countries. A meeting of the Bangladesh Cabinet chaired by Prime Minister Sheikh Hasina has approved in principle the draft Bangladesh Standards and Testing Institution Law 2016. The updated law includes an adjusted definition of "standards" from "foreign standards" to "international standards." Bangladesh Prime Minister Sheikh Hasina and Sri Lanka President Maithripala Sirisena agreed to further enhance bilateral trade relations at a meeting held on the sidelines of the G7 Outreach Summit in Japan. President Sirisena also accepted an invitation extended by Prime Minister Hasina to visit Bangladesh in December this year. The Federation of Bangladesh Chambers of Commerce and Industries (FBCCI) explored the possibility of growing its trade volume from Bhutan through investments in the country's fruit and vegetable processing industries and buying spices from Bhutan. FBCCI President Abdul Matlub Ahmad was in the country to explore new areas of trade and investments between the two countries. Bangladesh Foreign Minister Abul Hassan Mahmood Ali paid a courtesy call on the King of Bhutan Jigme Khesar Namgyel Wangchuck. The King lauded Bangladesh Prime Minister Sheikh Hasina's initiatives to boost Bangladesh-Bhutan bilateral relations, and emphasized the Bangladesh-Bhutan-India-Nepal (BBIN) cooperation as a platform to achieve regional prosperity. A bilateral meeting led by Bangladesh Senior Commerce Secretary Hedayetullah Al Mamoon and Nepal Commerce Secretary Naindra Prasad Upadhyay initiated a number of measures to expand trade volume between the two countries, including removal of technical barriers to trade, harmonization of sanitary and phytosanitary measures, and preferential market access for 158 products. A Bangladesh-Bhutan-India-Nepal (BBIN) economic zone may be declared in an upcoming BBIN seminar and business expo to be held in Siliguri, India, according to Mr. Abdul Matlub Ahmad, President, Federation of Bangladesh Chamber of Commerce and Industry (FBCCI). Mr. Ahmad was in Thimphu, Bhutan to discuss the upcoming BBIN seminar, as well as opportunities for trade and investment between Bangladesh and Bhutan. A World Customs Organization (WCO) Subregional Workshop on Transit Corridors in South Asia considered improvement of regional transit regimes in the region. Progress of the Bangladesh, Bhutan, India and Nepal (BBIN) Motor Vehicle Agreement, as well as national experiences of Japan, Switzerland and Malawi in implementing efficient transit regimes, was discussed. A railway agreement in the Bangladesh, Bhutan, India, Nepal (BBIN) subregion is being proposed, in line with expansion of railway links boosting connectivity between India's Northeast and its BBIN neighbors. According to Mr. Mukul Kumar, Director (Transport), Railway Board, Ministry of Railways, Government of India, this initiative will facilitate cross-border transport of goods and people, and enable efficient multimodal transport system to integrate and sustain the region's economic growth. The Economic Cooperation Dialogue on Regional Connectivity and Border Special Development Zones in Eastern South Asia highlighted the importance of transport corridors to promote trade and economic cooperation in the region. Dr. Nagesh Kumar, Head, UNESCAP Subregional Office for South and South-West Asia, shared how developing transport corridors can turn constraints faced by the region's landlocked countries into opportunities. The Intergovernmental Agreement on Dry Ports, developed with support of the United Nations Economic and Social Commission for Asia and the Pacific, entered into force on 23 April 2016, after 8 of the 17 signatory countries, including Bangladesh and India, deposited approvals of Agreement. The Agreement aims to promote international recognition of dry ports, facilitating investment in dry port infrastructure and enhancing their operational efficiency. The Executive Committee of the National Economic Council (ECNEC) of Bangladesh approved an updated budget of around $2.3 billion for the 129.6 kilometer Dohazari-Ramu-Cox's Bazar dual gauge railway project. The proposed railway track will be linked to the Trans-Asian Railway, connecting Bangladesh to India and Myanmar. Bangladesh Prime Minister Sheikh Hasina called on neighboring countries to cooperate in the Bangladesh Government's efforts to become a developed nation. In a meeting with India's Minister of State on Independent Charge for Petroleum and Natural Gas, Mr. Dharmendra Pradhan, Prime Minister Hasina emphasized Bangladesh's focus on promoting connectivity. Bangladesh Commerce Minister Tofail Ahmed and Manipur Chief Minister Okram Ibobi Singh discussed increasing volumes of imports from Bangladesh to the Indian state of Manipur during a visit by the Bangladesh Commerce Minister. Chief Minister Singh affirmed the huge demand for Bangladeshi products, and recommended enhanced private sector cooperation between the two countries. Dr. Pritam Banerjee, Senior Director, Corporate Public Policy (South Asia), Deutsche Post DHL, reported that the first trial run of cargo vehicles on the Kolkata-Dhaka-Agartala route under the Bangladesh-Bhutan-India-Nepal (BBIN) sub-regional framework, enabled a better understanding of future needs and solutions for safe and efficient movement of cargo across BBIN borders. A Metropolitan Chamber of Commerce and Industry (MCCI) dialogue on promoting trade in the Bangladesh-Bhutan-India-Nepal (BBIN) subregion has discussed intraregional trade in South Asia, which remains under 5% despite implementation of the South Asia Free Trade Agreement. According to MCCI, non-tariff measures manifested as non-tariff barriers and para-tariff barriers lead to high transaction costs in cross-border trade, keeping trade volume low. The Government of Bangladesh is preparing to ratify the World Trade Organization (WTO) Trade Facilitation Agreement (TFA), which will enable efficient and speedy flow of goods across borders and make doing business less costly. Bangladesh aims to ratify the TFA soon, to allow the country to enjoy trade benefits available to least developed countries. Bangladesh President Abdul Hamid, in a meeting with outgoing Bhutan Ambassador to Bangladesh Pema Choden, highlighted how implementation of the Bangladesh-Bhutan-India-Nepal (BBIN) Motor Vehicle Agreement (MVA) will expand the scope of trade and investment in the subregion. They also discussed how bilateral relations between Bangladesh and Bhutan could be enhanced. Direct cargo shipments between Bangladesh-India were launched on 15 March 2016, with the first vessel sailing from Chittagong Port, Bangladesh to Krishnapatnam Port, India on 17 March 2016, carrying cotton and textiles. The service reduces transport time significantly—from 25 to 4 days to carry goods from Bangladesh to India, with goods no longer having to pass through Colombo, Sri Lanka, or Singapore. Bangladesh Prime Minister Sheikh Hasina expressed satisfaction over the growing engagement between Bangladesh and Bhutan. The Bangladesh-Bhutan-India-Nepal initiative, according to the Prime Minister, further widens the scope of cooperation between the two countries. The Queen of Bhutan likewise expressed the hope that bilateral relations between the two countries will continue to strengthen. The Government of Bangladesh has launched the Bangladesh Trade Portal, a one-stop shop for information on conducting trade with Bangladesh. The website offers useful information on exporting goods from, and importing commercial goods into Bangladesh, to promote the country's trade sector. Bangladesh Commerce Minister Tofail Ahmed said the portal marks a milestone for business and traders. Bangladesh Prime Minister Sheikh Hasina formally opened Bangladesh Railway’s 64-kilometer Tongi-Bhairab double-rail track on the Dhaka-Chittagong route, which is expected to speed up rail travel between Dhaka and Chittagong by at least an hour and a half. The Asian Development Bank funded the $162.5 million project through the SASEC program. An immigration facility in the Banglabandha-Phulbari Land Port between Bangladesh and India—jointly inaugurated on 18 February 2016—is expected to ease people-to-people connectivity between the two countries. Strategically located on the Asian Highway, this border-crossing point is expected to boost trade and commerce not only between Bangladesh and India, but also with Bhutan and Nepal. Regional economic connectivity initiatives, including the Bangladesh-Bhutan-India-Nepal Motor Vehicle Agreement, can change the business landscape of Bangladesh, said Bangladesh Foreign Secretary Md. Shahidul Haque at a meeting of the Metropolitan Chamber of Commerce and Industry. The BBIN MVA will transform 30 transport corridors into economic corridors, and is set to give subregional businesses a boost. A delegation from the Port Authority of Thailand and officials from Bangladesh's Ministry of Shipping held the first official discussion on direct coastal shipping connectivity between Bangladesh and Thailand. The two countries agreed to carry out a feasibility study on the Chittagong Port, with the aim of signing a memorandum of understanding. Indian Minister of State for Railways Manoj Sinha led a two-day visit to the northeastern state of Tripura to inaugurate its trial broad gauge passenger train, and review progress of ongoing railway projects, including the Agartala-Akhaura railway project, which connects the rail networks of Bangladesh and India, and Agartala-Sabroom, a future connecting point for Chittagong port in Bangladesh. Chittagong Seaport attained its 2016 target of handling 2 million twenty-foot equivalent units (TEU) of containers one year early. This announcement was made by the Chittagong Port Authority on 3 January 2015 in Dhaka, Bangladesh, with Shipping Minister Shajahan Khan as chief guest. According to Minister Khan, Chittagong Port's container holding capacity increased to 40,000 TEU, owing to a rise in container handling demand, which grew by 700,000 TEU in the last 3 years. The Government of India has released the first tranche of funding worth around $299,000 to construct a new waterway link between its northeast region and Bangladesh. With total allocation of $1.87 million, the project will link the Gomati and Howrah rivers in Tripura with the Meghna river in Bangladesh, to boost bilateral trade and the movement of people. The SASEC Information Highway Project will enable Bangladesh to export at least 50 gbps of bandwidth to Bhutan, northeast India, and Nepal, said an official from Bangladesh's ICT Division. An initial 10 gbps will initially be imported to India's northeast, which could bring in earnings of around $1.23 million a year. The Indian states of Assam and Meghalaya, and Bhutan, have also expressed interest to import bandwidth. Bangladesh Commerce Minister Tofail Ahmed and Nepal Minister for Commerce and Supplies Ganesh Man Pun discussed Bangladesh-Nepal trade and other trade-related agreements currently being negotiated on the sidelines of the 10th Ministerial Conference of the World Trade Organization in Nairobi, Kenya. The two ministers agreed to complete all bilateral trade agreements and fast-track negotiations to promote bilateral trade ties. A seminar organized by the Dhaka Chamber of Commerce & Industry (DCCI) discussed 'Trade Facilitation: Opportunities and Challenges for Sustainable Growth' in Bangladesh. Economic Adviser to the Prime Minister Dr. Mashiur Rahman emphasized that trade facilitation measures should boost trade and promote investments. Dr. Khairuzzaman Mozumder, Deputy Chief of USAID, identified remaining key challenges in implementing the WTO Trade Facilitation Agreement in the country. A 2-day meeting between Bangladesh and Bhutan headed by Commerce Secretaries discussed several bilateral concerns, including increasing products on the duty-free import/export list of both countries, potential hydropower imports from Bhutan to Bangladesh, Customs cooperation, and road and water transport agreement. The exchange of export-related data between designated adjacent border crossing points in the SASEC subregion commenced on 30 November 2015. This SASEC Customs Subgroup Subregional Project promotes the exchange of documents at five major border-crossing points between Bangladesh, Bhutan, India and Nepal, to promote future electronic exchange of data and build a better risk profile of traders. Bangladesh and India signed the Standard Operating Procedure to operationalize the 'Agreement on Coastal Shipping' formalized in June 2015. This Agreement will provide huge savings in logistics costs for cargo transport between the two countries, improving bilateral trade. The two parties have also agreed to sign an agreement on passenger and cruise vessels. A Meeting for the Bangladesh, Bhutan, India, and Nepal Motor Vehicle Agreement (BBIN MVA)on 3-4 December 2015 will finalize the transit fees for goods and passenger vehicles, and discuss other issues, said Bangladesh Road Transport Minister Obaidul Quader. Transport of passengers and goods under the BBIN MVA will formally start in January 2016, with initial restrictions in place. Sri Lanka High Commissioner in Dhaka, Ms. Yasoja Gunasekera said Bangladesh is working toward expanding economic ties with Sri Lanka for their mutual benefit, at an event organized by the Diplomatic Correspondents' Association-Bangladesh. She encouraged both countries to look beyond traditional economic thinking and explore initiatives to promote economic cooperation. Bilateral discussions between Bangladesh and Sri Lanka to sign a Free Trade Agreement enhancing trade and investment cooperation are at the final stage. According to Bangladesh Commerce Minister Tofail Ahmed, the two countries are working together to boost trade and increase connectivity. Bangladesh has proposed removal of all non-tariff barriers on exports, including pharmaceutical goods. A Meeting between India's Minister for External Affairs and Governors of the North East region covered key aspects of the 'Act East Policy', including transport connectivity, border trade, and regional production and value chains. The Meeting stressed the need for better connectivity of the North East to a wider region, including Bangladesh, Myanmar, and Thailand, and discussed ongoing and planned cross-border connectivity projects. The Asian Development Bank has approved additional financing for a SASEC transport project that supports preparation of high-priority railway and road projects in Bangladesh along the Trans-Asian Railway and the Asian Highway network. These transport projects will enhance cross-border traffic, expanding connectivity in the Bangladesh-Bhutan-India-Nepal subregion and forming links between South Asia and Southeast Asia. The Ministry of Road Transport and Bridges, Bangladesh is hosting a two-day Secretary-level meeting of Bangladesh, Bhutan, India, and Nepal (BBIN) to discuss the protocols of the BBIN Motor Vehicles Agreement (MVA). 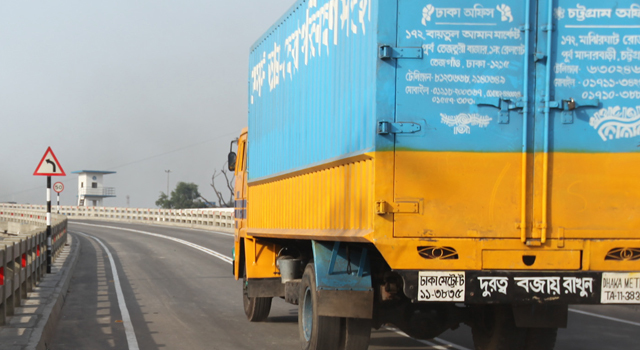 Secretary of Road Transport and Highways Division, MoRTB, said Bangladesh will allow cross-border cargo transport on roads connected to functional land ports. Bangladesh businessmen envisage increased trade with India if constraints on land port infrastructure are addressed. Land ports and land Customs stations play a significant role in the country's trade within the subregion. Current limitations in infrastructure, communication, and excessive documentation create hurdles for trade efficiency. A new master plan outlining a long-term vision for Chittagong Port has been unveiled in Dhaka, Bangladesh. Development under the plan is expected to increase port efficiency and is estimated to cost around $1.9 billion. The master plan financed through SASEC Program technical assistance funded by the Asian Development Bank. The Government of Bangladesh will develop the country's land ports to spur regional trade, undertaking around $84.76 million worth of projects to improve land port infrastructure, warehouse facilities, Customs control procedures, and the institutional and regulatory framework. This initiative will facilitate more efficient movement of goods by cutting border-crossing times to and from Bangladesh, toward Bhutan, India, and Nepal. The National Board of Revenue of Bangladesh is set to present the Customs Act of 2015 for passage in the September parliamentary session. The new Customs Law, which aims to facilitate smooth international trade, reduce time and cost of doing business, and create a better investment climate, will replace the existing 1969 Customs Law. A meeting of the commerce ministries of Bangladesh and India to renew the Memorandum of Understanding for Bangladesh-India border markets agreed to double the purchase limit for buyers. This decision comes as the two countries prepare to set up more markets to boost bilateral ties and trade. A meeting of Bangladesh's Cabinet Committee on Economic Affairs approved the Bangladesh Export Policy 2015-2018. The new export policy highlights increasing trade with Bhutan, India, and Nepal, and targets $60 billion in annual export turnover by 2021. A Meeting of the Joint Group of Customs of Bangladesh and Bhutan held in Thimphu, Bhutan on 26-27 July agreed to share export-import data from Phuentsholing and Burimari Customs stations. The Meeting also decided to consider opening Bangladesh's Chilmari and Roumari river routes to increase access between the two countries. Read a commentary on the Bangladesh, Bhutan, India, and Nepal (BBIN) Motor Vehicles Agreement (MVA) as positive development for the BBIN subregional grouping. The BBIN MVA is a landmark framework agreement that aims to facilitate seamless flow of passenger, personal and cargo vehicular traffic between and among the BBIN countries. Bangladesh is seen as the new investment destination for Indian investors, particularly with the series of bilateral agreements signed between the two countries in June 2015. Trading and exporting appears lucrative for Indian businessmen due to Bangladesh’s weak manufacturing base, tariff-free access to developed markets, geographical proximity, and resilient economy. Bangladesh recorded a trade surplus with Nepal in 2014-2015 for the first time in 10 years, due to a decrease in lentil imports. Nepal Transit and Warehousing Company figures show Nepal exported goods worth about $10.8 million, against imports of about $23.9 million last fiscal year. The Bangladesh Government is set to approve in principle the establishment of a special economic zone for Indian investors in Mongla and Bheramara under India’s $2 billion line of credit (LOC). A Development Project Proposal is under consideration by the Executive Committee of National Economic Council. The Indian LOC would contribute $2 billion toward the total cost estimate of $2.37 billion for the 13 projects under the Memorandum of Understanding. Customs officials from Bangladesh and Bhutan met on 27 July 2015 in Thimphu, Bhutan to discuss removal of barriers that restrict bilateral trade, and the sharing of import and export data between the two countries. As important trading partners, Bangladesh and Bhutan are working to resolve non-tariff barriers to enhance trade efficiency and boost the exchange of goods. The Indian Government sanctioned about $155.8 million to lay a 15.06-kilometer (km) section of railtracks, connecting Indian Railways with Bangladesh through the North East. This India-funded Agartala-Akhaura railway junction in Bangladesh would reduce the distance from Agartala to Kolkata from 1,650 km to 515 km, avoid mountainous terrain, improve trade and commerce, and enhance connectivity. An inter-ministerial meeting in Bangladesh reached consensus to set up a National Single Window (NSW) to facilitate cross-border trade and reduce the cost of doing business. The NSW will use a virtual system through which different organizations will be interconnected. The National Board of Revenue's Customs wing will be lead agency for the NSW. The full $200 million grant pledged by India to Bangladesh for construction of Padma Bridge under a $1 billion loan agreement has been disbursed. A recent meeting between India and Bangladesh also discussed implementation of a $2 billion loan agreement signed during India Prime Minister Narendra Modi's visit in June 2015. India’s Communications and Information Technology Minister Ravi Shankar Prasad laid the foundation stone on 13 July 2015 to link Agartala, India in the Tripura border area with International Gateway Service at Cox’s Bazar, Bangladesh. This will strengthen telecommunications services and improve Internet connectivity in the landlocked North Eastern states of India. With the recent approval of the regional transit deal among four nations – Bangladesh, Bhutan, India, and Nepal – traffic volume will take a further upturn. The Government of Bangladesh plans to build a ‘Dhaka Bypass’ at about US$30.87 million under a public-private partnership initiative to improve traffic congestion in the overcrowded city. Bangladesh, Bhutan, India, and Nepal formed a subregional grouping under the Bangladesh-Bhutan-India-Nepal (BBIN) Framework, and signed a Motor Vehicles Agreement (MVA) allowing seamless transit across each other's territories at the Meeting of Bangladesh, Bhutan, India, and Nepal Transport Ministers on Regional Road Transport Connectivity. Several commentaries from across the region have been published on the BBIN MVA, and are shared below. The Asian Development Bank (ADB) plans to provide about US$6 billion for projects in Bangladesh, including regional connectivity road transport and railway networks. ADB – through its country partnership program 2016-2018 – is committed to supporting regional connectivity in South Asia that boosts trade and commerce. The Asian Development Bank (ADB) is set to further enhance transport connectivity within Bangladesh, and between Bangladesh and India, through the SASEC Railway Connectivity: Akhaura-Laksam Double Track Project. This $505 million ADB project will upgrade critical sections of Bangladesh Railway's Dhaka-Chittagong corridor and boost its market share in freight services. Several agreements were signed during Indian Prime Minister Narendra Modi’s visit to Dhaka, Bangladesh on 6-7 June 2015. The agreements included a $2 billion line of credit, as well as others in the areas of trade, connectivity, and cooperation in power supply. The two-day visit further strengthened bilateral relations between the two neighboring countries. The Union Cabinet, chaired by Prime Minister Narendra Modi, approved the Agreement on Coastal Shipping between India and Bangladesh to carry out coastal movement of goods between the two countries. Bangladesh is currently India’s largest trade partner in South Asia and the coastal route is expected to provide an alternative route for transportation of import-export cargo between the two countries. A month after India pledged another Line of Credit to Bangladesh, the Economic Relations Division, Ministry of Finance of the Government of Bangladesh prepared 11 development project proposals on various sectors including transport, education, information technology, and energy. The total cost of the proposed projects is estimated at $2.71 billion. Prime Minister Sheikh Hasina gave the directive to go ahead with the construction of the third terminal of Hazrat Shahjalal International Airport to handle growing passenger capacity and strengthen connectivity in the international arena. PM Hasina views Bangladesh as an important hub – a bridge between East and West. At the seminar on ‘Bangladesh-India Protocol on Inland Water Transit and Trade: Challenges and Opportunities’, held in Dhaka, Bangladesh on 13 May 2015, policy and economic experts urged the two governments to remove navigation problems, reform customs procedures, develop ports, address lack of infrastructure facilities, and resolve policy constraints to tap into the potential of inland water transit. The Cabinet of Bangladesh approved a 3-year agreement to export 10 gigabytes to India’s northeastern states on lease and commercial basis. State-owned entity Bangladesh Submarine Cable Company Ltd (BSCCL) and Bharat Sanchar Nigam Ltd (BSNL) signed the “Agreement Between BSNL and BSCCL for Leasing of International Bandwidth for Internet at Akhaura (Zero Point)”. A coastal shipping agreement between Bangladesh and India was ratified on 21 April 2015 in New Delhi. Bangladesh Shipping Secretary Shafiq Alam Mehedi and Indian Shipping Secretary Rajib Kumar ratified the deal to facilitate trade and transportation of goods through water routes between the two countries. The Bangladesh Cabinet approved proposed amendments to the India-Bangladesh Trade Agreement allowing the two countries to access each other's rail, road, and sea routes for third-country trade. The agreement is a boon to trade in the subregion, paving the way for Bangladesh to transport products to Bhutan and Nepal, and for India to send goods directly to Myanmar. The Government of Bangladesh will issue South Asian Free Trade Agreement (SAFTA) certificates to allow South Asian countries to export at lower duty and receive duty benefits while shipping products in eight South Asian countries. The EPB recently decided to issue certificates to smaller apparel makers to help them export to neighboring countries and meet the growing demand of low-cost garments from Bangladesh. Bangladesh and India moved to establish a second cross-border railway link through Akhaura-Agartala to boost bilateral trade and business. The dual-gauge railway track to be funded by the Government of India will connect with the North-Eastern States of India and become the second effective railway corridor of the two neighboring countries. The Railway Sector Investment Program, approved by the Asian Development Bank on October 2006 as a multitranche financing facility with total cost of $537.5 million, is approaching completion within 2015. The project contributes to sustainable economic growth and poverty reduction in Bangladesh by improving the country's railway network. Bangladesh has once again been nominated as least developed countries’ (LDC) coordinator for 2015—its first time was in 1996 when former Industries and Commerce Minister Tofail Ahmed attended the WTO Ministerial Conference in Singapore. Bangladesh was nominated due to its vital role and experience in bargaining with the developed world on behalf of the LDCs. West Bengal Chief Minister Mamata Banerjee has proposed a joint business council for Bangladesh and India to meet by April 2015 to address existing disputes in bilateral trade and business. The proposal followed discussions with business leaders during a 3-day visit to Sonargaon, Bangladesh. The Bangladesh Prime Minister’s Office has identified nine priority sectors for development cooperation with India under an umbrella agreement: power and hydropower, energy, commerce, connectivity (rail, road, water and motor vehicle), customs and immigration regulations, water management, and capacity building and capital dredging of Mongla Port. The first Bangladesh-Nepal Expo 2015 in Kathmandu, Nepal attracted about 100 private businesses and more than 10,000 visitors. Enterprises from Bangladesh showcased the wide variety of products Nepal’s business community can source from Bangladesh. The fair opened potential areas of trade and encouraged entrepreneurs from both countries to create business linkages with each other. An agreement that will enable seamless transit of passenger and goods along designated key routes in the Bangladesh, Bhutan, India, and Nepal (BBIN) subregion is in the pipeline. It will reduce costly and time-consuming unloading and loading of people and cargo at border crossing points. The agreement would help transform transport corridors linking BBIN into economic corridors and enhance people-to-people contact. Intra-regional trade share among South Asia Subregional Economic Cooperation (SASEC) countries increased from 2011-2013 as economic exchange within the region strengthened, although overall intra-Asia trade declined. 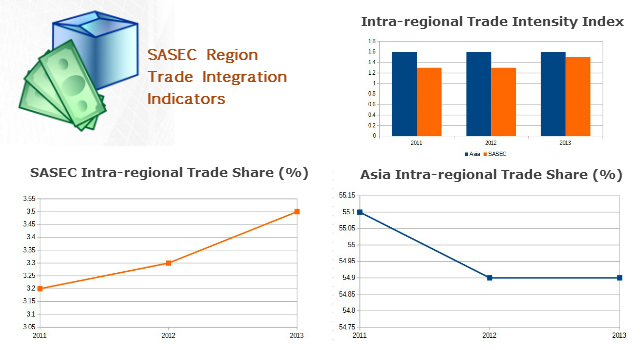 SASEC intra-regional trade also increased in the first seven months of 2014 compared to the same period in 2013, yet its trade with the world decreased. 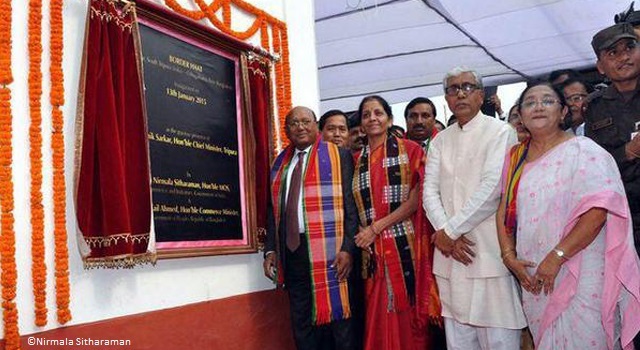 Bangladesh Commerce Minister Tofail Ahmed and India Minister for Commerce and Industry Nirmala Sitharaman jointly inaugurated the first border market (“haat”) along the Tripura-Bangladesh frontier on 13 January 2015. Both ministers spoke optimistically about new opportunities for trade during the inauguration ceremony. The Government of Bangladesh aims to graduate to middle-income country status by 2021. Once it reaches middle-income status, it will not enjoy duty-free benefit under GSP but move to the ‘GSP Plus’ scheme. Bangladesh will have to sign four international conventions on human rights, labor rights, environment, and governance to enjoy GSP Plus benefit from the EU. Bhutanese trucks carrying import/export cargo are now able to enter Bangladesh via India, according to Bangladesh Commerce Minister Tofail Ahmed during a visit to Bhutanese Prime Minister Tshering Tobgay on 7 December 2014. The new agreement will allow trucks to carry products directly from Bangladesh for import to Bhutan. Bhutan’s Prime Minister Tshering Tobgay has agreed with Bangladesh Prime Minister Sheikh Hasina to close trade gaps by exporting more goods and expanding the list of products free of tax and duty enjoyed by both countries. Bhutan’s total trade volume with Bangladesh is worth about US$ 25.6 million. Bangladesh is the only country in the South Asian Association for Regional Cooperation region in which Bhutan has a trade surplus. In recent decades, Bangladesh has emerged as one of the largest export markets for India in the South Asian Association for Regional Cooperation region. From 1988-1989 to 1992-1993, India’s total exports increased by 164%, while the increase in imports to Bangladesh was 293%. Bhutanese Ambassador Pema Choden, Indian High Commissioner Pankaj Saran, and Nepalese Ambassador Hari Kumar Shrestha visited the Land Customs Stations of Burimari-Changrabandha (Bangladesh-India), Phuentsholing-Jaigaon (Bhutan-India), Kakarbhitta-Panitanki (Nepal-India) and Phulbari-Banglabandha (India-Bangladesh) on 9-12 November 2014. BINA took the land route used by traders of Bangladesh, Bhutan, India, and Nepal. Prime Minister of Bangladesh Sheikh Hasina addressed the Plenary Session of the 10th Asia-Europe Meeting Summit 2014 and called for a more favorable trade regime, stronger technical cooperation, and better Asia-Europe connectivity. The European Union is Bangladesh’s largest export destination and Asia is Europe’s main trading partner with about US$2 trillion of Asia-Europe trade. Indian Prime Minister Narendra Modi held separate bilateral meetings with Sri Lanka President Mahinda Rajapaksa, Bangladesh Prime Minister Sheikh Hasina, and Nepal Prime Minister Sushil Koirala. The neighboring leaders discussed their support for the ‘neighborhood first’ policy and affirmed their commitment to South Asian Association for Regional Cooperation (SAARC) as a regional block that can solve common problems. Bangladesh Foreign Minister Mr. Abul Hassan Mahmood Ali visited Prime Minister Shri Narenda Modi in New Delhi for the 3rd Meeting of the India-Bangladesh Joint Consultative Commission (JCC) on 19 September 2014. Foreign Minister Ali expressed appreciation for Prime Minister Modi's leadership and relations with the South Asian Association for Regional Cooperation. Bangladesh has agreed in principle to join the Asian Infrastructure Investment Bank established by China in early 2014 to invest in infrastructure construction in Asia and promote economic cooperation. Economic Relations Division Secretary Mohammad Mejbahuddin will sign the Memorandum of Understanding in October. The Bay of Bengal Initiative for Multi-Sectoral Technical and Economic Cooperation (BIMSTEC) Secretariat headquarters was formally opened on 13 September 2014 in Dhaka, Bangladesh with Bangladesh Prime Minister Sheikh Hasina leading the inaugural ceremonies. Bangladesh Finance Minister Mr. Abul Maal Abdul Muhith told reporters that good relations between Bangladesh and India are beneficial to both countries. Prior to the press interview, Finance Minister Muhith met with visiting Asian Development Bank Vice President Mr. Bindu Lohani to discuss further enhancing connectivity between Bangladesh and India. 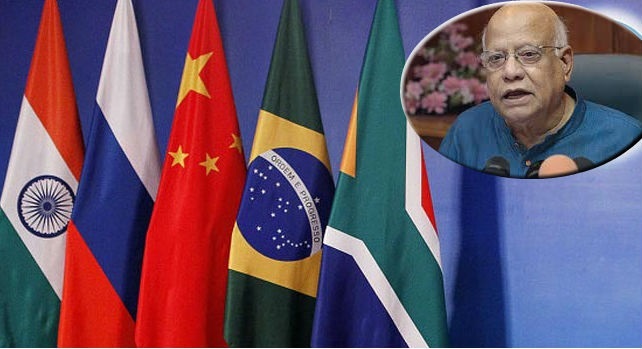 Bangladesh's decided to join the $50 billion New Development Bank formed by Brazil, Russia, India, China, and South Africa (BRICS) as an alternative source of development funding other than the World Bank and International Monetary Fund (IMF). In joining the New Development Bank, Bangladesh will have more options to receive concessional investments, further develop the country's infrastructure, and lessen loan costs from multinational banks. As Sri Lanka-Bangladesh trade crosses the $100 million mark for the first time, Bangladesh seeks to set up an investment promotion mechanism to increase trade volumes and improve bilateral trade. The Investment Protection Agreement (IPA) incorporates investment fundamentals for Bangladesh investors looking at Sri Lanka as a future trade partner. Bangladesh's Chittagong Port recorded a rise of 10.46% in container handling during fiscal year 2013-2014. This statistic counts as Chittagong Port's biggest growth in terms of cargo handled. ADB approved the Chittagong Port Trade Facilitation Project in October 2004 to increase the capacity of its container terminal. The Asian Development Bank-financed Dhaka-Chittagong Expressway Public-Private Partnership Design Project will assist the Government of Bangladesh to prepare detailed engineering design documents of the existing two-lane Dhaka-Chittagong highway that will be developed into a six-lane freeway. It will provide badly-needed additional road capacity. Several firms were chosen in the joint venture that is expected complete the project in 2023. The American Chamber of Commerce (AmCham) in Bangladesh was briefed by Mr. Kazuhiko Higuchi, the Asian Development Bank (ADB) Country Director for Bangladesh, and chief guest at AmCham’s monthly meeting on 26 June 2014. During the Bilateral Interconnection Agreement Meeting held on 25-27 April 2012 in Manila major telecommunication providers from SASEC countries signed agreements for the direct peering and exchange of internet traffic through high speed fiber-optic links to be built under the Information Highway.